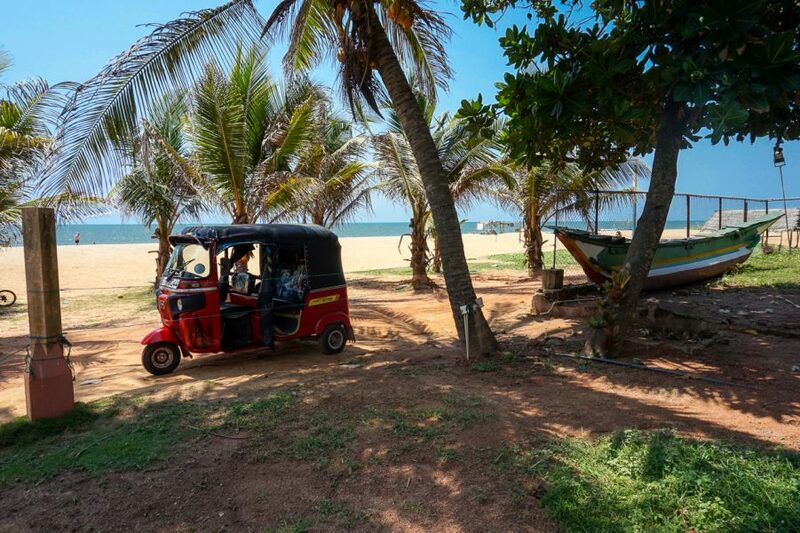 The moment I landed in Sri Lanka (Negombo) I knew it was going be a great experience. It was going to be a very special trip for me. This is a country of contrasts and surprises and one I very quickly fell in love with. From the lush green tea fields of the hill country through to the much warmer, and blissfully peaceful beaches of the south with old forts, wildlife safaris and rich traditions thrown in, don’t underestimate how much time you need to explore the country formerly known as Ceylon. This is a city on the west coast of Sri Lanka, north of the capital, Colombo. Sunset over the beach, a brightening golden sky in Negombo’s beach hotel have become a favorite first stop for travelers. They are lured by the promise of palm trees, golden beaches and luxury accommodation. It is also well known as the fishing village of Negombo. 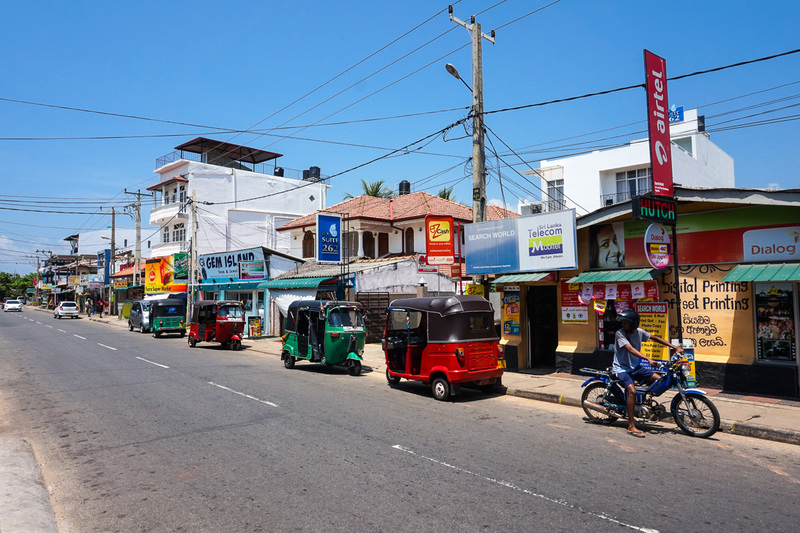 The main streets in Negombo is scattered with green and red tuk-tuks, restaurants serving both international and Sri Lankan specialties. (below photos). My main purpose of the trip was to visit The Wester Seaton Cheshire Home (Leonard Cheshire Disability, Local Partner) based in Negombo and observe the first hand results of their invaluable work which will allow me to bridge the gap and assist in preparing a training manual guidelines for the Partner’s Financial Management and Registration Policy and align it with the LCD one. 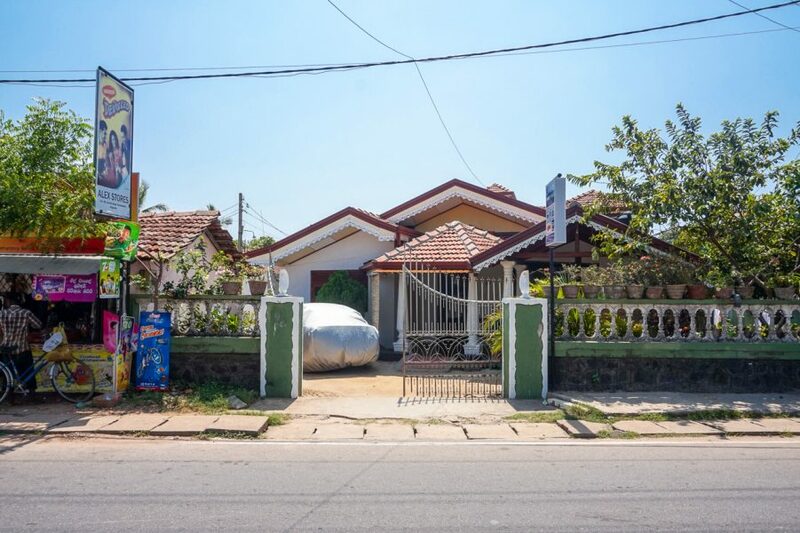 The Wester Seaton Cheshire Home, Negombo was established in 1964 and currently cares for 28 Residents ( 24 Ladies and 4 Gentlemen), most are intellectually impaired. On my first day at the Cheshire Home I was introduced to Sandrine (Manager) who was very welcoming. She introduced me to all the staff and residence of the home and from my observation they are all so dedicated to their work and have passion to help others. I also was able to spend time with the residence and come to realise the importance of empathy, kindness and to respect the value of individuals and to give possibility of hope and change. Dance class with the residence preparing for the celebration of the World Disability Day. They have 15 Board Members, headed by a Chairman, all professional and are all volunteers. The Board meet once a month to ensure all is going well and discuss and resolve any issues. The home follows the 5 S’s as hygiene is key is kept to a very high standard. They have many selfless volunteers such as doctors, dentist, hairdressers, teachers and more and provide basic needs for the residence. They have an ongoing Home Project Organic which allows them to harvest their own organic fruit and vegetables which helps to provide lunches and dinners for the residence. They also sell some to the local residence and any income generated is put back into the project. This centre was inaugurated on the 30th of June 2016 for People with Special Needs. They have a Special Education Unit along with IT and Language Classes. Currently they have 62 PWD’s (Persons with Disabilities) attending these sessions and this Centre will help WSCH to reach out to a wider community, making a tangible difference in the lives of those with special needs. They also conduct Vocational Training Programmes at the Centre. Technical training on candle making was carried out for 12 PWDs, 9 Parents and 2 Staff members. The training was conducted by Three Trainers of the Industrial Development Board with theory and practical’s. Training continued for three days. This will help PWD’s to start self-businesses at the Centre. Before flying back to Bangalore I travelled to Kandy with Sandrine (from Wester Seaton Home) and her husband Sunil, it was a wonderful experience. Kandy is about a three hours drive from Negombo. The drive took us through many local villages, up narrow mountain roads all the way to Kandy. Kandy and its surroundings, known as ‘Hill Country’, have a lot to offer. It is a place with great heritage and history as it used to be the former capital of the country and where the royal family of Sri Lanka last resided. On the way to Kandy we stopped to have fresh yellow coconut called the King coconut which is native to Sri Lanka where it is know as Thembili which comes from the palm trees. The orphanage is government run and was initially created to protect abandoned or orphaned elephants. 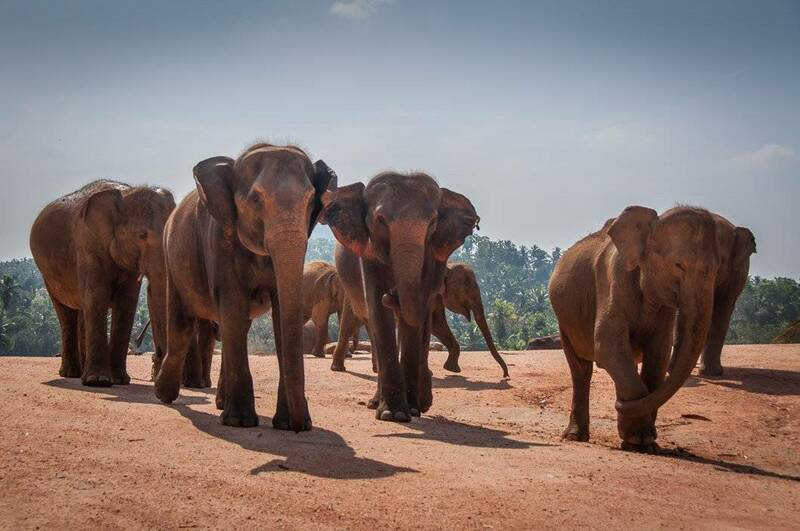 Today it has become the home to the largest captive group of elephants in the world and is one of Sri Lanka’s most popular attractions, both among tourists and locals. North of the Kandy Lake is the famous temple that houses Sri Lanka`s most important Buddhist relic – a tooth of the Buddha himself! The legend says that the sacred tooth of the Buddha was snatched from the Buddha`s funeral pyre in India in 483 BC. In the 4th century AD, it was hidden in the hair of a princess and smuggled into Sri Lanka. The shrine receives many worshipers and tourists. The tooth has over the years been moved around Sri Lanka and was returned to India in 1283 by an invading army. It was then retrieved by the king of Sri Lanka and brought back to the country. It was believed that whoever had the custody of the tooth, had the right to rule the country. You don`t, however, get to see the real tooth in the temple, as it is hidden in a golden casket shaped like a dagoba. 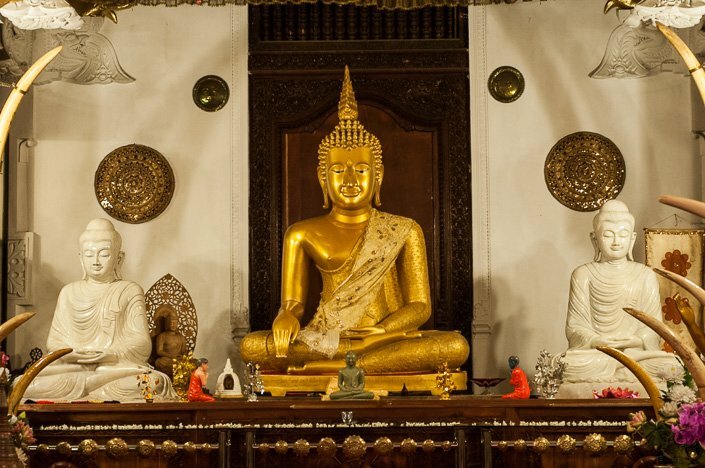 Sri Lankan Buddhists believe they must complete at least one pilgrimage to the Temple of the Sacred Tooth Relic in their lifetime. To worship here improves one`s karmic lot immeasurably.